A North Carolina Police officer was working one weekend night in December. He came across Frankie wandering the streets, tangled up in a rope with no collar. It was in the 30’s that night, which is very cold for southern North Carolina, so he took him to the Police Station where Frankie spent the night in the basement. Legally, he had to turn him over to Animal Control on Monday morning, and Frankie was taken to the County Animal Shelter. 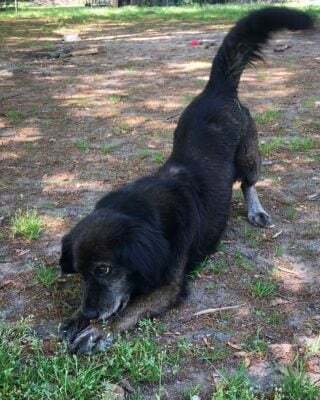 Frankie tested positive for heartworms and since he was approximately 6 years old, it was very unlikely that he would be adopted out. His rescue was told he would likely be euthanized by the end of the month. They made the decision, with the help of Long Trail Canine Rescue, to pull Frankie from the shelter. Over the last five months he has undergone treatment for heartworms and had a benign tumor removed. He has been a trooper through everything given the circumstances. Frankie was posted on the Long Trail Canine Rescue Facebook page and within a day the Rescue was contacted by a person who first saw Frankie in the shelter and was happy to know that he made it out of the shelter and was being taken care of. She was excited to know that Frankie would be available for adoption and immediately applied for her and her family to be his new pet parents! 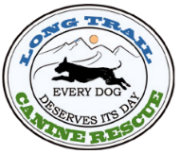 Thanks to Long Trail Canine Rescue and all of the volunteers, Frankie traveled over 800 miles from Matthews, North Carolina to Montague, Massachusetts to his forever home. What a great story, thanks for sharing!